CORPUS CHRISTI, Texas – For the second year in a row, Texas A&M University-Corpus Christi nursing and health science students took time out of their summer to help the disadvantaged. From June 12-29, Islander students traveled to Weslaco, Texas, to take part in the Colonias Program, an Army initiative to provide health care to those living in Colonias – rural communities that lack one or more major infrastructures such as potable water, sewage systems, and electricity. 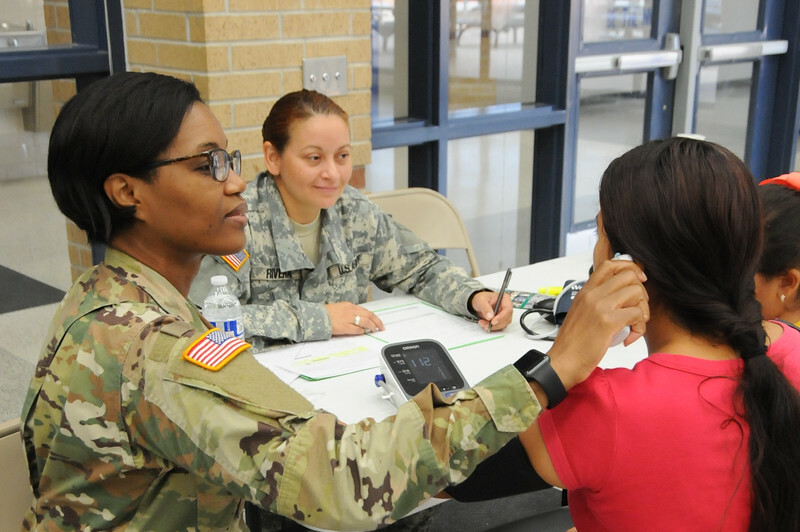 Colonias residents were greeted with helpful Islander students and Army personnel who provided them with health checks, dental care and eye exams – all free of charge. Students were stationed in one of two local schools – allowing them the opportunity to see large numbers of patients. Resources included a dental van complete with a panoramic x-ray and three examination rooms. Even more so than previous missions, this year emphasized dental care.